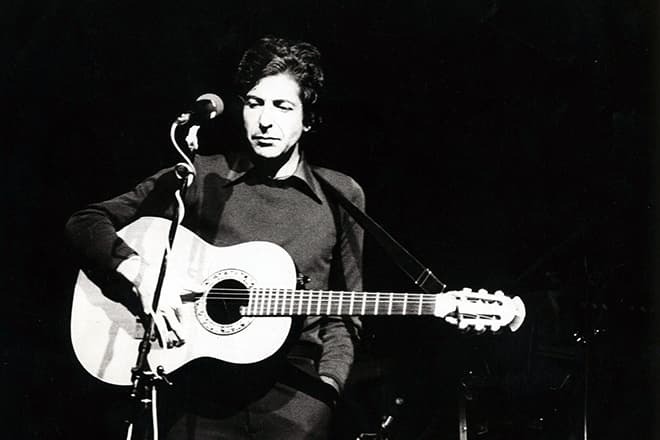 Leonard Cohen became famous in literary circles as a poet and a writer before he appeared on the stage as a singer and songwriter. 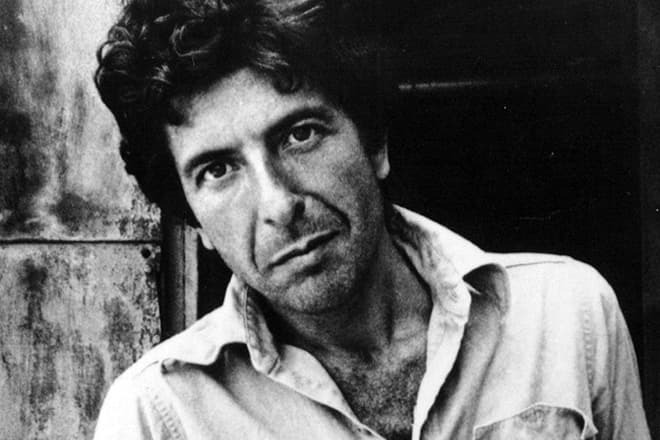 In the late 1960s, Cohen conquered the audience by his deep, velvet, and incredibly sad voice. He became one of the founders of folk music. Even when the musician went to a Buddhist center, his fans remembered him. Leonard Cohen was born in 1934 in Westmount, the suburban area of Montreal. The future poet’s parents were successful Jewish merchants. The parents moved to Canada from Europe: the father came from Poland, and the mother was born and spent her early childhood in Lithuania. There were no musicians and poets among Cohen’s ancestors. However, Leonard’s artistic inclinations were supported. 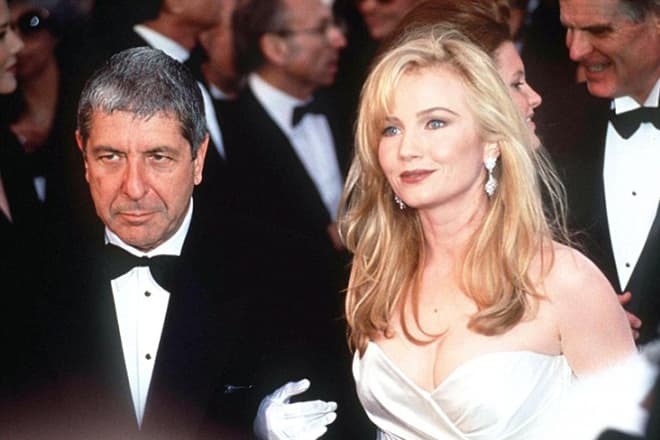 The boy could not play any instrument until 13 and took an interest in music only when he fell in love for the first time: Leonard learned several guitar chords to impress a girl. Leonard had no teachers. He took the first steps in music on his own, as his heart was telling him. It was a miracle: two years later, he became the best guitar player in the neighborhood. From time to time, the teenager performed in local cafés. At that period, Leonard happened to get a collection of García Lorca’s poems. The young guitar player realized: music and poetry were related closely. He began to create songs; however, the first concert occurred many years later. 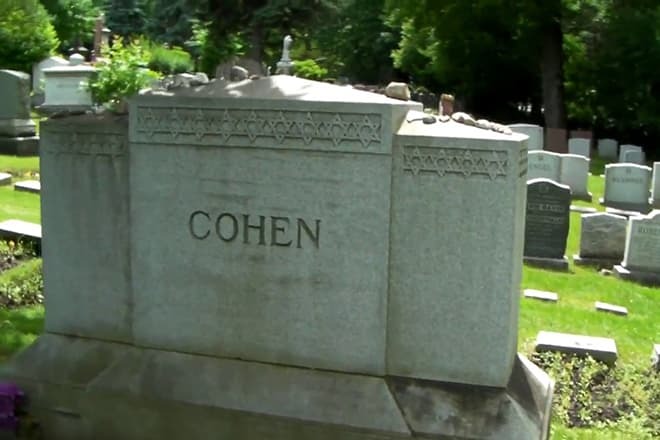 Cohen went to a Jewish school and continued his education at the McGill University where he studied music and poetry. The young man participated in theater performances and even founded a student folk group. 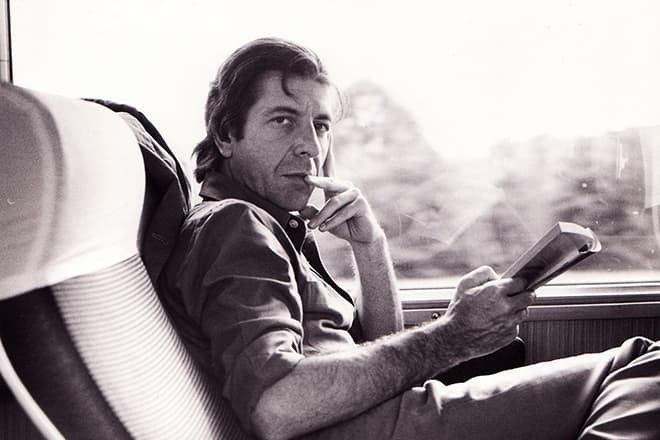 Leonard frequented Saint Laurent Boulevard; inspired and impractical art lovers gathered together in a small pub, and Cohen performed for them. He did not sing, though: he read poetry and prose. By the end of the 1950s, the young man became famous in literary circles. Thanks to his father’s inheritance, the poet did not need money and had the chance to create without thinking about earning his living. Cohen had depression all his life. From time to time, it backed off to return later. Perhaps, it was chronic depression that helped the Canadian musician and poet create his classic masterpieces. His songs were always gloomy and sad, yet one could never forget them. Cohen had a broad social network, yet depression would turn him into a hermit. The first retreat period took place in the early 1960s. It was the fertile period: the poet and writer spent seven years on Hydra and created two books: The Favorite Game and Beautiful Losers. 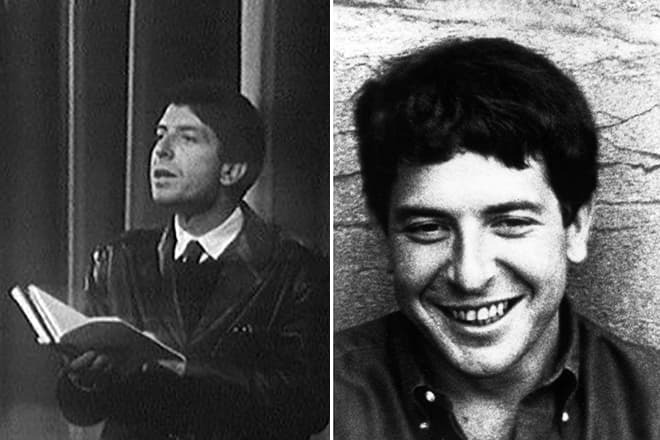 At the beginning of his literary career, Cohen became famous as a prose writer. Still, he was always creating poetry since his youth. In 1967, the Canadian writer went to the USA and started his music career. He preferred folk rock. His early song “Suzanne” proved to be a great hit; the 1960s star Judy Collins performed it for the first time. Several years later, Noel Harrison recorded “Suzanne”. By 1970, the poet, writer, and musician had four albums released. In 1967, he performed his songs on the stage for the first time: it was a folk-rock festival in Newport. The debut was successful: the charming musician with a low, deep baritone impressed the audience. Two months later, a concert was held in New York; it was a sold-out event. In the 1970s, the musician began to give concerts and organized a tour in Europe and America. In 1979, the album Recent Songs came out. The Canadian’s singing was original and simple at the same time. He used various musical instruments for the musical accompaniment: guitar, gypsy violin, mandolin. The five-year break followed Recent Songs. When the musician came back, fans discovered philosophical and religious motives in his new works. “I have always been touched by the modesty of their interest in my work.” Still, the album where “Hallelujah” appeared was popular in Canada and Europe. In the late 1980s, the religious motives grew pale, and sarcasm started dominating in the musician’s songs; he often used the keyboard during his concerts. Social inequality, hypocrisy, and betrayal became the leading theme in Cohen’s art. In the mid-1990s, Cohen disappeared for a while: he got engaged in Buddhism. However, the lack of money made the 70-year-old come back to the stage: the manager Kelley Lynch stole $5 million from the celebrity’s bank account. The singer recorded the album Ten New Songs; the work was calm, melancholic. The musician had to leave because of the new stress. He drank three bottles of wine every day and smoked a pack of cigarettes. The voice became lower and gained new tones. The pretty simple song A Thousand Kisses Deep sounded nice due to Cohen’s husky voice. The music video for this song was based on the drama Malèna with Monica Bellucci. In 2008, Cohen recorded Live in London. The main song, "Dance Me to the End of Love," became a great hit. “Famous Blue Raincoat” and “Nevermind” were also the popular songs in the last years of Cohen’s life. At that time, the singer announced the long-awaited tour; the musician visited Canadian and European cities. In 2010, he went to Russia: it was the first and the last visit. Young Cohen led a bohemian life; he also tried to do the family business but failed. Besides, literary work gave him some earnings. In the late 1960s, Cohen’s eccentric behavior, not his books, were discussed. The writer was not a long-standing partner: he regularly left old lovers for new ones. Sometimes, he used LSD to refresh himself; at that time, it was not banned, and poets, musicians, directors, and other artists experimented with it. 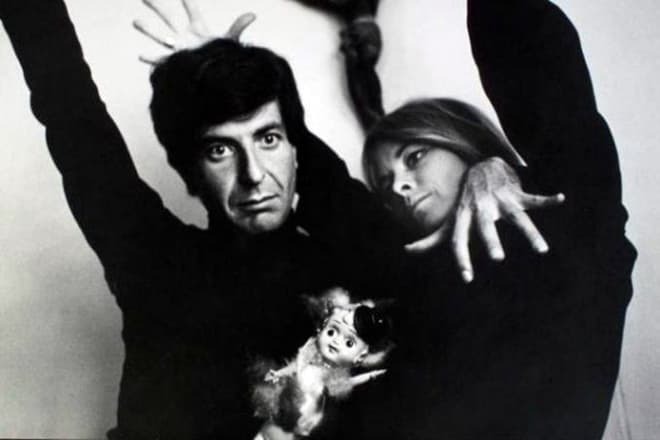 In the 1960s, Cohen had a relationship with Marianne Ihlen whom he had devoted one of his early songs. 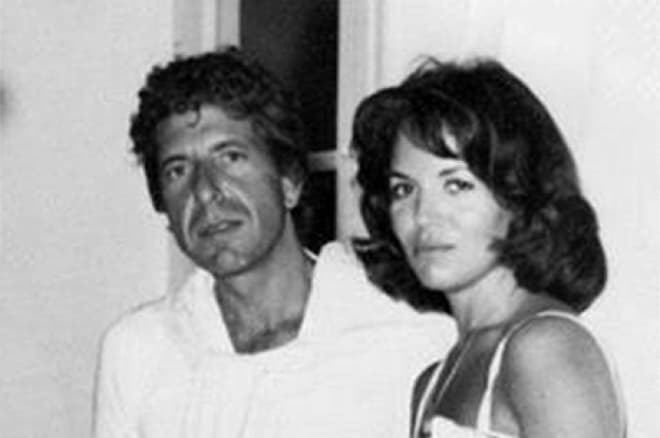 Later, the musician met Suzanne Elrod who became his wife. Contrary to the popular opinion, the hit song “Suzanne” was devoted to another woman. Cohen and Elrod broke up in 1979. The musician had two children, Lorca named after the man’s favorite poet and Adam. The daughter became a photographer; the son is a musician and the vocalist of the group Low Millions. 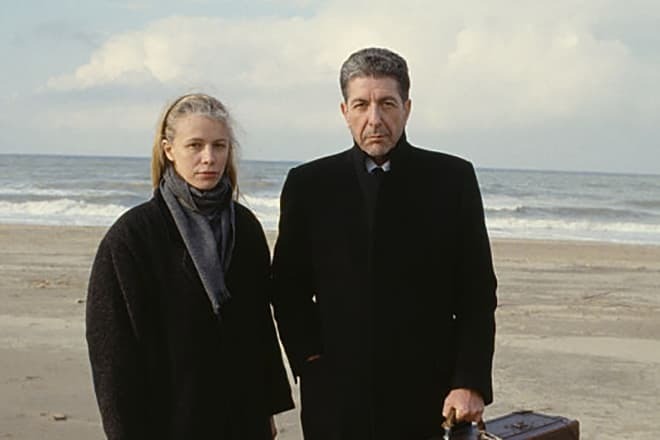 In the 1980s, Cohen had an affair with a French photographer Dominique Issermann who participated in creating music videos. Dominique’s picture appeared on the cover of Stranger Music: Selected Poems and Songs; the book was published in 1993. Rebecca De Monray became the last woman in Leonard’s life. In October 2016, the last album, You Want It Darker, came out. Three weeks after the release, the Canadian musician died of leucosis. He was buried in his native city. Two months after the poet’s death, there was a concert in Montreal in his honor.